View portable display products like you've never seen them before! 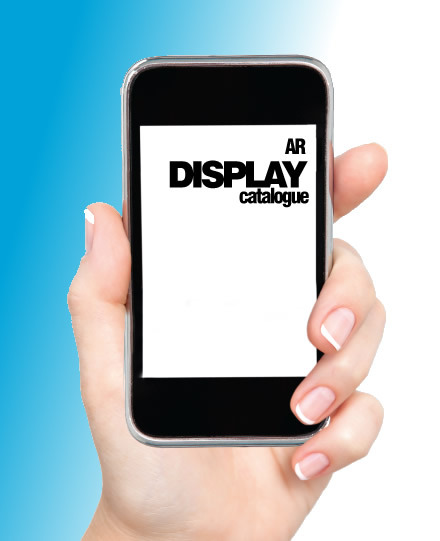 Download and open the Display Catalogue AR app on your mobile device (tablet or smart phone) then hover over selected images where you see the AR logo. Watch them come to life or view video content and more using Aurasma technology. Amaze your customers and demonstrate display products on the move! Show your exhibition and display products in 3D with full 360 degree views. If you have space for a pack of cards, you can carry a virtual showroom in your pocket - even large stands can be accomodated. Quickly and easily demonstrate your portable display products to your customers without needing a car full of demo products.